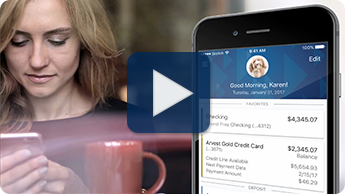 Arvest Go is our new mobile banking app that gives you easier and faster control over your accounts. You can log in using only your fingerprint, which is one of the most simple and secure ways to log in to an app since no two fingerprints are the same. You can also choose a four-digit passcode for access. Take advantage of all of our mobile banking functions like Mobile Check Deposit, BillPay, and Arvest to Arvest Transfers. You can individualize your Arvest Go experience by adding an optional profile photo. You also have the ability to designate favorite accounts and create account nicknames. Set up the Quick View feature if you'd like to be able to see your account balances on a widget without logging in. You can also manage alerts in the app to maintain control over your accounts. Getting started on the app is easy. If you are not currently an Arvest Online Banking customer, visit an associate in your local branch or call us at (866) 952-9523 to get your Login ID. 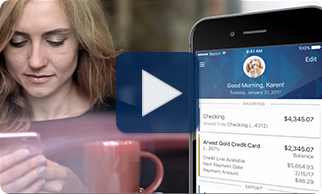 Arvest Go is our new mobile banking app that gives you easier and faster control over your Arvest accounts. All of our mobile banking functions will be available, including Mobile Check Deposit, BillPay and Arvest to Arvest Transfers. You can easily see account balances without having to fully log in to the app by enabling Quick View to set up a widget. You can individualize your Arvest Go experience by adding an optional profile photo, designating favorite accounts and creating account nicknames. You can also set up and manage alerts to help you maintain control over your accounts.